Let’s learn some positive solutions from singled Jewish lady. There is an ancient wedding custom among the Jews. It is said that, if an unmarried lady visits the famous mausoleum and makes a wish, she will meet her dream lover in a year, then get married and has kids. If a romantic wedding is planned for holding on the special Day, you may consider local data of Israel to avoid the expensive cost. In Israel, the pressure of a man to marry a wife is no less than that in China. Even though fiancée in Israel doesn’t ask for house property, the cost of the wedding and feast are too much to bear. For example, 350 seats of wedding dinner need 150,000 shekel in usual, which is about RMB 225,000. But for most people, marriage represents mighty fortress on the basis of love. Because of different custom in different area, people use particular way to congratulate the couple who is going into matrimony. Among these, Jewish wedding is characterized by ethnic and religious features. Most worthy of mention is that, Jewish people are a matriarchal nation. According to religious law and traditional custom of Jewish, the child will be recognized as a Jewish only if his or her mother is Jewish. This ethical idea is different from patriarchal concept in most countries of the world. Recently, Hillary and Trump are opponents for presidency, but their daughters are good friends. It is worth mentioning, their husbands both are Jewish. Perhaps because of Jewish custom, Ivanka Trump converted to Judaism after marriage. Compared with fast love, trial marriage and cohabitation in modern society, a series of Jewish marriage stipulates are complex and conformist. But behind the tradition, the rules show respect for marriage, as well as the sacred and inviolable marriage. As Bible mentioned, everyone is to be respected in marriage (from chapter 13, section 4). Jewish are in this spirit, attaching importance to marriage. Because it is a momentous event in their life. 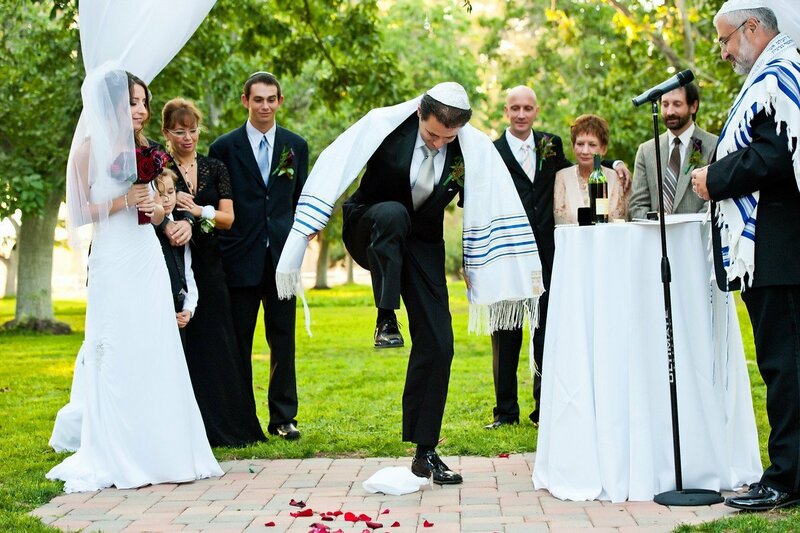 In order to help new couple understand grace and joy is grant by god, Jewish have reserved many rituals with symbolism. Before the wedding, for the sake of notarizing marriage conditions, the parents of the bride and groom would draft a marriage contract together. We took it for granted nowadays, but Jewish had this rule two thousand years ago, which means they are a nation really pay attention to gender equality. After signing marriage contract, parents of Orthodox Judaism will sign another formal contract called tnayim, which represents their agreement. Then new couple’s mother will break the plate to show what has been decided cannot be repented. On the last Shabbat day before wedding, whether bride and broom are Orthodox Judaism or not, they should go through a rite called Opuru. In the synagogue, the bride need to walk to the lecture to read a passage from Torah, and sometimes the bride who wasn’t Orthodox Judaism need to read Torah as well. After reading, people will throw candies from all sides, wishing them a sweet future. The day before wedding, religious-abiding bride will be immersed in the pool for two to three times with the assistance of specially-assigned person. It remarks the ending of single life and the beginning of marriage. Wedding ceremony means a lot to Jewish. It’s the most sacred and joyful day in their life. That day means redemption day of bride and groom, all faults would be pardoned that day. Because they are going to become a whole new one with another soul. The Jewish wedding will be in a colored shed. There are four poles sustain a large prayer towel or colored cloth as baldachin for Jewish wedding ceremonies, symbolizing God be with us, proving by heaven and earth, and welcoming guests. It’s derive from the age of the prophet Abraham four thousand years ago. Nowadays, it means a new home, as well as never forgetting the wandering misery of Jewish ancestors. The wedding shed can be set up everywhere, which represents Jewish scatter throughout the world but view the place as the Holy Land. In normal conditions, the outdoor star means god promised Abraham that his descendant would as much as star (Genesis 15 5). In the beginning, both parents took the couple go to the wedding shed, it symbolizes the merger of two families. After that, on both sides, two fathers of the new couple will go to the wedding shed together with an unlit candle. Then two mothers of the new couple catch bride in the middle of them to go into the wedding shed together with an unlit candle. In case wind may blow out the candle, their candle holder is wind-proof made by glass specializing for wedding. When they enter into the wedding shed, bride would turn three or seven rounds around the groom, representing she belongs to him forever. On account of gender equality and respect, this custom has been abolished. New couple only need to turn around each other hand in hand. After that, rabbi (sage or spiritual leader of the church) introduce the new couple and read prayer called “Mi Adir”, to pray for god’s blessing that they are united in wedlock. And then the bride and groom drink a sip of the first cup of blessing wine. The cup is representative of the cup of life, sweet wine means best wishes for the couple, and the bride and groom to drink same glass of wine represents they will share the joys and sorrows in the future. In particular, groom help the bride wear wedding ring on her index finger. Then people will put prayer shawl round to the groom and bride’s head. In the later stage, rabbi will recite a scripture from Talmud. It recorded seven kinds of blessings, ascending the joy of all the people to the blessing of the Jewish and beliefs. At that time, the new couple will drink the second cup of wine to thank all the people. In the next moment, the groom will begin with a famous ceremony. He packs the cup into white cloth, putting in the foot and crushing with his right foot. There are many kinds of symbol meaning of the ceremony, in the early time may be expulsion of stealth. But at present, people regard it as destroying the temple. People won’t forget the history even they are in the happiest moments. Meanwhile, this rite shows relationship is vulnerable, expecting people can abandoned prejudice and ignorance, and start a new life. After finishing all the procedure, Jewish would hold a celebration dinner, just like Chinese. 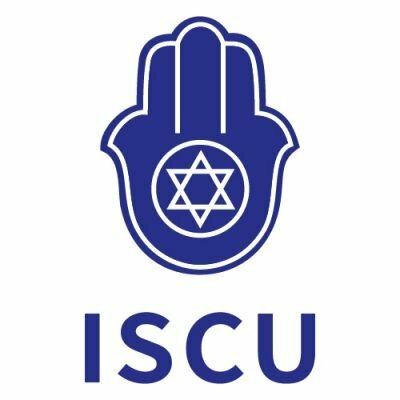 A Jewish wedding, is the witness of love, declaration of commitment for each other, and also heritage of national customs and religious culture.